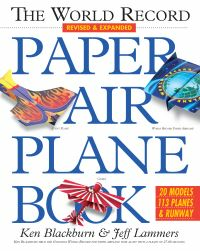 This accessible introduction to knitting includes easy-to-follow illustrated tutorials on techniques from casting on and binding off to joining colours to make stripes, and 14 progressively challenging knitting projects, beginning with simple infinity scarves and hats and building to supersweet toys and decor. 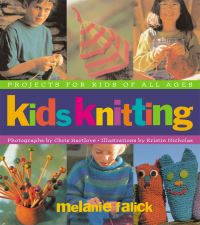 Step-by-step text and photographs that kids can read and follow on their own mean they will be knitting independently in no time! 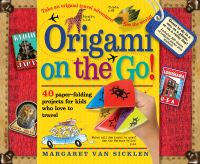 Also included is a chapter on stocking your toolbox and sourcing yarn; plus advice on starting a knitting group, connecting with local knitting communities, charity knitting, and more. Topsy-Turvy Inside-Out Knit Toys ISBN 9780761179634, Itty-Bitty Toys ISBN 9781579655891, Spud and Chloe at the Farm ISBN 9781579654306, Itty-Bitty Nursery ISBN 9781579654573 and Itty-Bitty Hats ISBN 9781579652951. 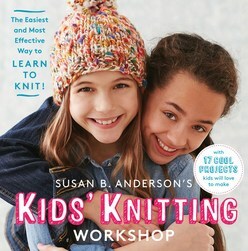 Beloved knitting instructor Susan B. Anderson presents her first book targeted at a young audience.